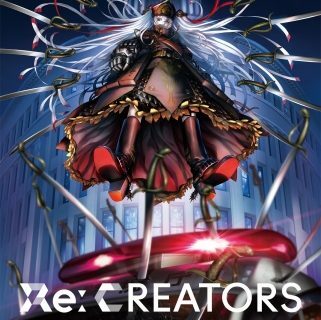 My Hero Academia and Re:CREATORS are already part of our episodic anime reviews for this season, so you will be seeing them in our Summer 2017 lineup as well. 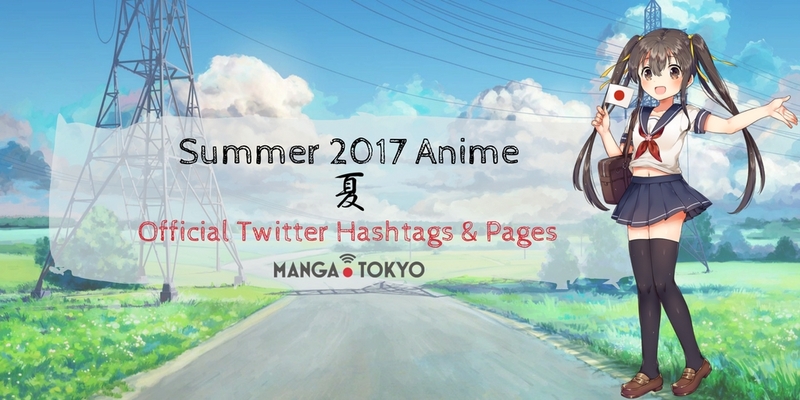 Our Summer 2017 Anime Info Page is up-to-date with all the latest info on all the upcoming series. 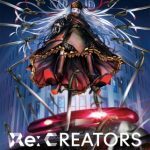 Our Anime and Otaku News page is bombarded with news every single day and our editors are making sure you get them before anyone else, but we have to be honest, there is so much to report that the best way to get that extra bit of obscure otaku knowledge is to visit he official sites, or even better, follow the official hashtags and Twitter pages! 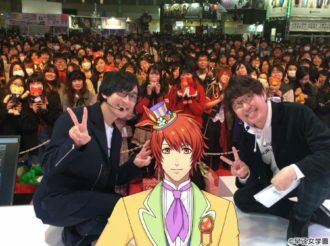 Twitter is the industry’s Social Media of choice when it comes to sharing latest info, and we want you, the amazing otaku readers of MANGA.TOKYO to be the first in the know of the otaku world! So here it is, our usual seasonal list for all our Social Media savvy readers. 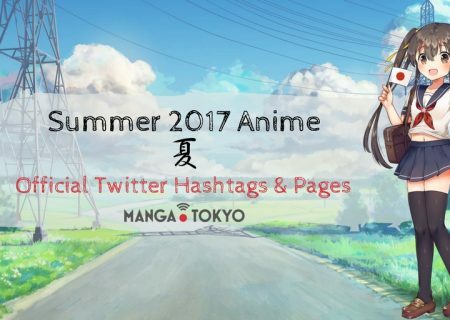 Do you want to know all the latest news about the Summer 2017 anime? Join us in our new MANGA.TOKYO forum where we discuss all about anime, manga, and games! 18if is based on a popular mystery puzzle RPG by Mobcast called 18 – Kimi to tsunagaru puzzle, which is currently available on Google play and the App Store. Himeno Kimihara is an ordinary high school student who strives for love, has club activities and studies. Except for the fact that she is a centaur. And that there are all the others, Nozomi a dragon-human (draconid), Kyoko a satyr, the winged student committee chairman, and Sassass-chan, a snake-human. It is a youthful story about two girls who become local heroines and produce action live events in their rather boring hometown, Hinano City. The main character of this story, Yoshiko Hanabatake, likes Akkun, her childhood friend, whose staple food is bananas. She is a high school girl who does all sorts of foolish things. In 2045 the world is attacked by Irosu. Nobody knows where they come from, but humans end up being restricted and contained by them. Fighting against them are the ‘Hoshimori’ of Shinjugamine Girl’s Academy. VICTOR, KIRI, MINA, and BLAZE fight against demons who eat the time of humans. The protagonist is a handsome midfielder that plays for Japan’s under-16 Soccer Team. However, he is completely and utterly obsessed with cleanliness! This story is about Aoyama’s Friendship! About Effort! About OCD?! Minori has always been one to get bullied. One rainy afternoon, Takashi and Kyoko think about how they want to see her smiling face and call her name. But in the end, they aren’t able to see her real smile and when her health rapidly decreases, she stops coming to school. DIVE!! is based on a light novel series written by Eto Mori about professional diving. 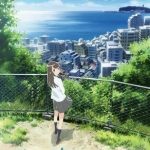 MANGA.TOKYO Anime Info Page for DIVE!! The Fate/Apocrypha story is set several decades after the events of a Holy Grail War waged by seven Mages and Heroic Spirits in a town called Fuyuki. We are in a world, where Youkai and Humans live together and love each other. But the life of humans is limited and Youkai who lost their loved ones have to continue living without them. Even if the humans were reborn and the Youkai found their partner again, previous memories were lost to the human. So a certain ‘service’ became popular among Youkai. Gamers! is about the lonely Keita Amano, who loves to play games. One day the school beauty and the head of the games club and asks him if he would like to go out with her and join the games club. MANGA.TOKYO Anime Info Page for Gamers! Jun’ichi wants to lose his virginity and believes in the superstition that gals (gyarus) are easy to push around, so he ends up kneeling in front of Yukana to ask her on a date. It is only at midnight one can access the page ‘Hell Correspondence’ where you can write down people you resent and Ai Enma, the Hell Girl, appears to take care of it.It shows the weakness and sadness of humans. The new anime will have a completely original story with the concept of ‘daily life x cute girls x transformation’. Many girls will meet other new girls, and the story will be about their everyday lives of trying hard to achieve their dreams. 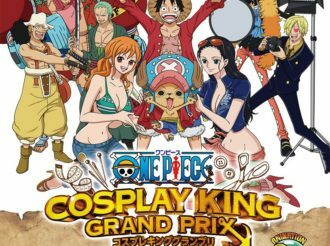 The characters will be able to ‘transform’ into different costumes, and the anime will also have exciting battle scenes! This is the story of two different kinds of bonds, ‘teacher and student’ and ‘childhood friends’. The heroes of this story are looking for them because they were lost. They are looking for ‘A place to belong’ and ‘a bond’ more than anything. The short anime will follow the game that involves an ordinary young lady who accidentally ‘time slips’ back to the Sengoku Period (1467 – 1603 AD) where she is mistaken as a messenger from Heaven. 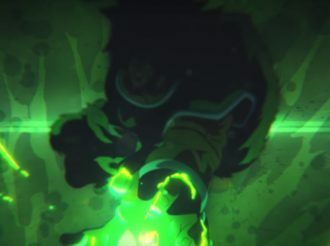 God kills off the main hero by accident, but gives him a second life in another world. He is given a new body by god and a smartphone, which works even in the other world. On his journey he meets many people and makes good friends, and at some point he finds out the secret of this world. This is the second season of Nazotokine. ‘Tactics’, ‘mind reading’ and ‘competitive strength’ become important assets at this school that Yumeko transfers to. Because everybody in the school is ranked through gambling. Unlike the previous anime adaptation Touken Ranbu Hanamaru that focused on the relaxing days inside the Citadel, Katsugeki Touken Ranbu will be a more action-packed affair and is set in the Bakumatsu period of Japan. It is spring and students just get used to their school again. All of them are busy with life, but what connects them is the convenience store. Some go there for simple ice cream, others buy magazines. But they will realize soon that it is also a good place to meet people, relax and create memories. And so, soon their reasons to go to the convenience store changes. This short-form anime is based on a novel that takes place in Universal Century 0096, a few months after the events of Mobile Suit Gundam UC. This anime is a sequel to Urawa no Usagi-chan. 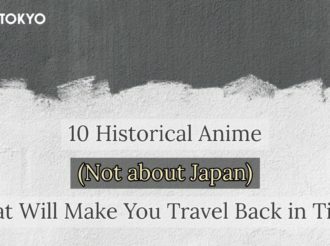 MANGA.TOKYO Anime Info Page for Musashino! Nanamaru San Batsu tells the story of high school students that hang onto their youth through a competitive quiz-club. This is the second season of the Summer 2016 anime New Game! MANGA.TOKYO Anime Info Page for New Game!! One day, princess Patricia comes to Earth to destroy it. But there she breaks down sick, because it’s her first time there and she is too weak. Nora, a high school boy, finds her and tends to her. As Patricia finds herself falling in love with him, she realizes she can’t destroy the world anymore. And to add more troubles, Nora turns into a cat because of certain circumstances. Yuma gets her first boyfriend in her second year at high school. She asks her beautiful childhood friend Hotaru for help. She teases her because she has no experience with boys and because she hasn’t done it with her boyfriend yet. When things escalate, they keep it between them. London, 19th century. Albion Kingdom is divided by a large wall into east and west. But there are five undercover spies, enrolled as students at the prestigious Queen’s Mayfair school. With their abilities they often end up entwined in the underground world of disguise, espionage and infiltration. The story plays in a 50-year old corner-shop restaurant called ‘Youshoku no Nekoya’ close to the office district. The shop has an ordinary plate with a cat on it at it’s door, but once a week during the ‘Special Sale’ on Saturdays, the door will connect to another world. This is the sequel to Saiyuki and Saiyuki Reload. While the Sanzou Party has finally arrive in India, there are many surprises waiting for them, challenging them. And on top of that, their tragic fate form 500 years ago catches up as well… What will they find on their journey? This is the fourth season in the Symphogear series. 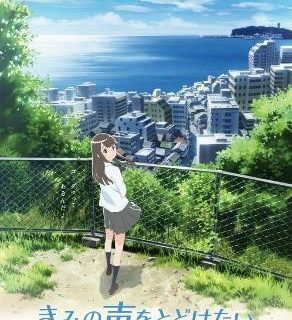 This short-form anime tells various storeis of young love. These stories range from a boy crippled by his absolute lack of confidence in himself to a near-psychotic girl that pours her own blood into her homemade chocolate in order to win the heart of the boy she loves. The statue of Virgin Mary, shedding tears. Emerging stigmata. Can all these ‘miracles’ happening around the world be real? The Miracle Investigators of the Vatican are there to investigate and determine the authenticity of those heavenly miracles. Tatara Fujita is an ordinary junior high schooler who is lost in his journey of self-discovery. However, one day, he becomes deeply fascinated by ballroom dance. Inaba Yushi moves into an apartment where ghosts, youkai and humans live together and follow him through his time in high school, dealing with his strange neighbours. Kodo Ikusei High School is a prestigious school, where nearly 100% of the students find employment or go to university after graduation. Students are free to bring any of their belongings to school and wear any hairstyle they want. It’s a school that seems like paradise. But in truth, only those who perform well enough get favorable treatment. 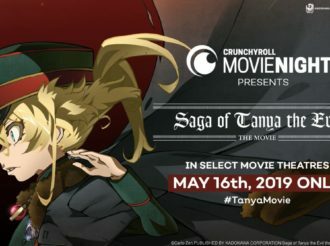 If you have trouble finding the official pages or Twitter handles for your favorite anime, let us know in the comments below by using either the forum or the Facebook tab! Join us in our new forum and let’s talk about our favorite series from the new season!! And, as we do every season, MANGA.TOKYO has already prepared its list of episodic reviews for this season and we will also see every first episode and write our first impressions.